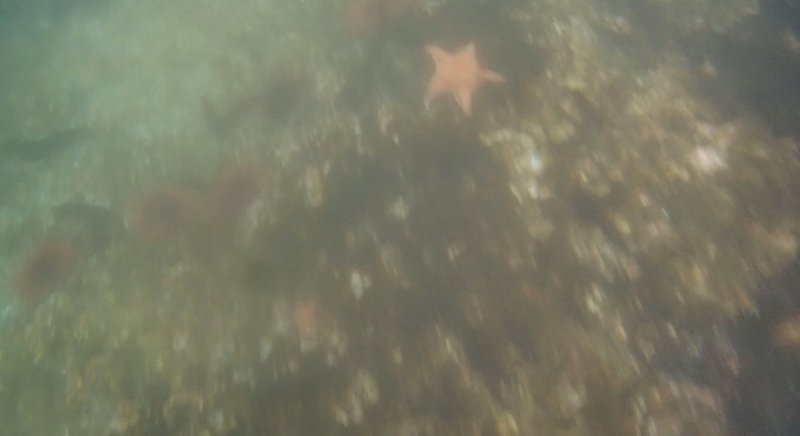 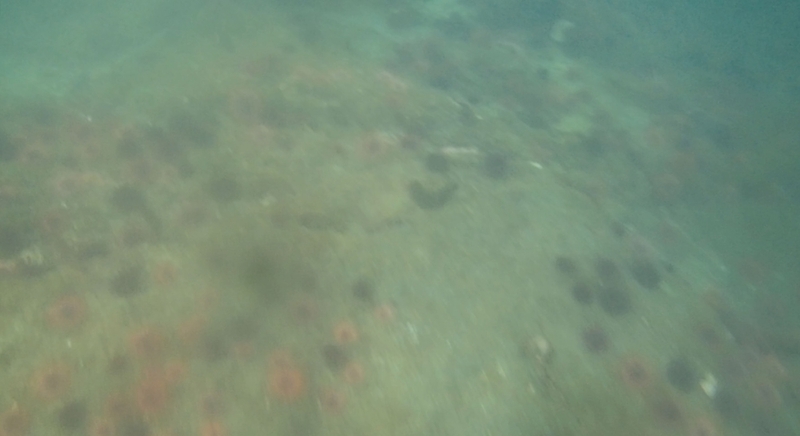 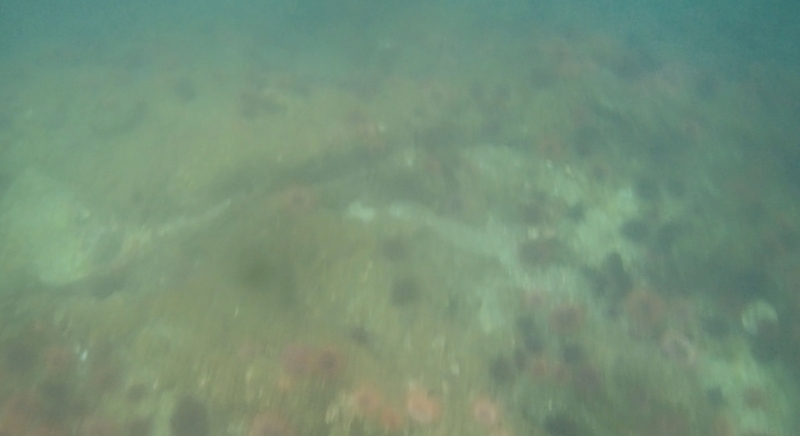 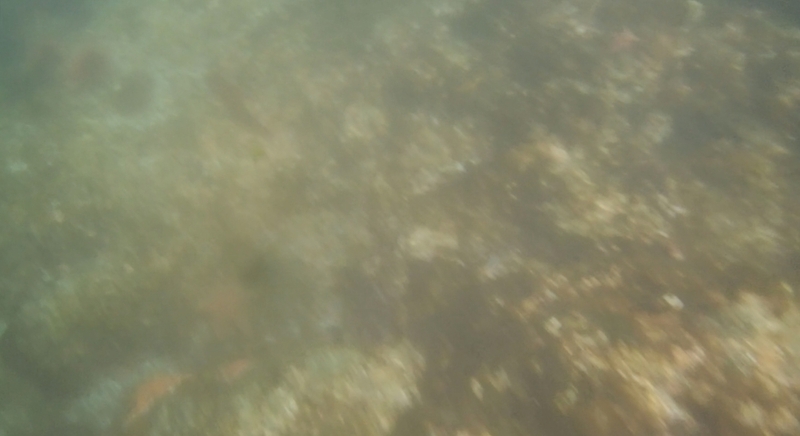 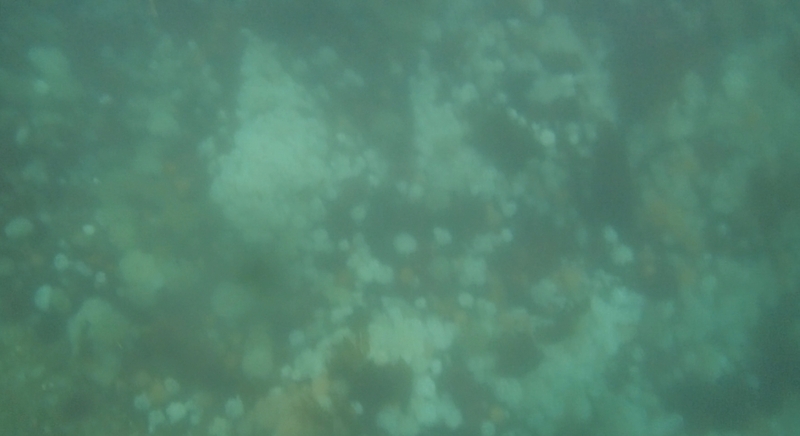 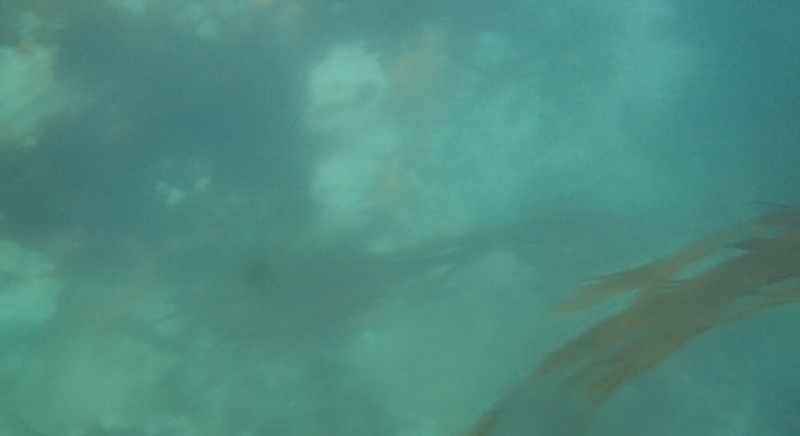 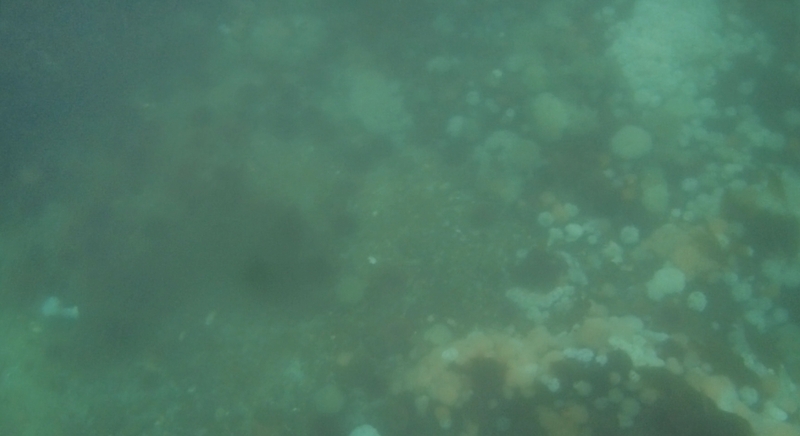 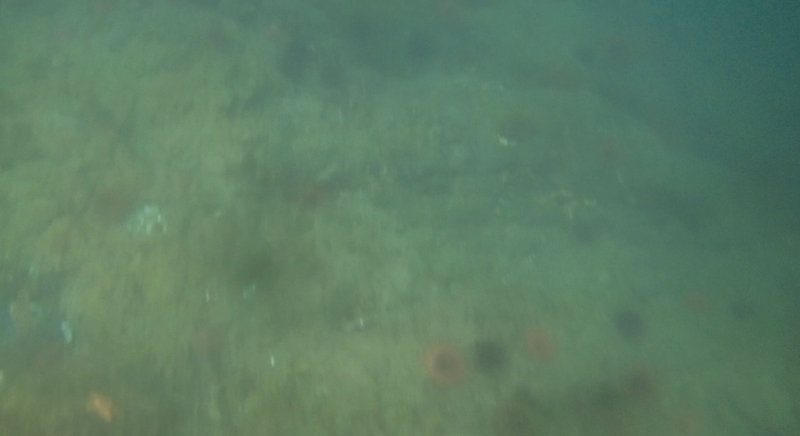 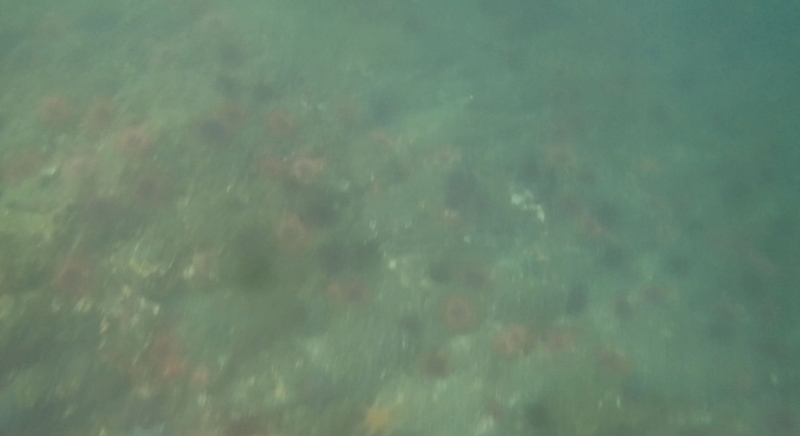 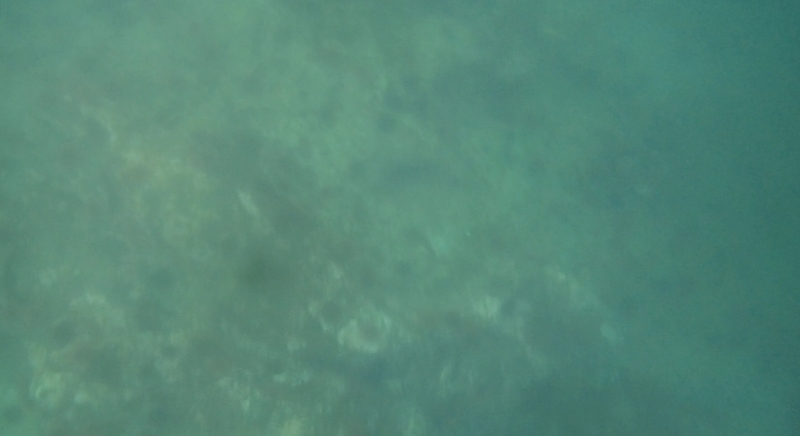 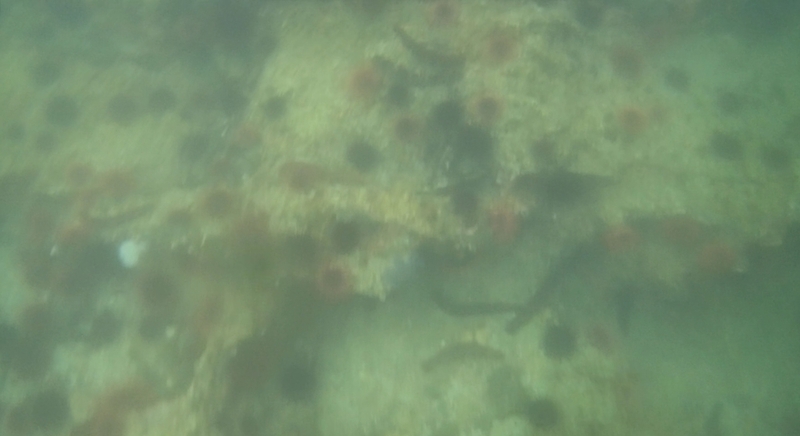 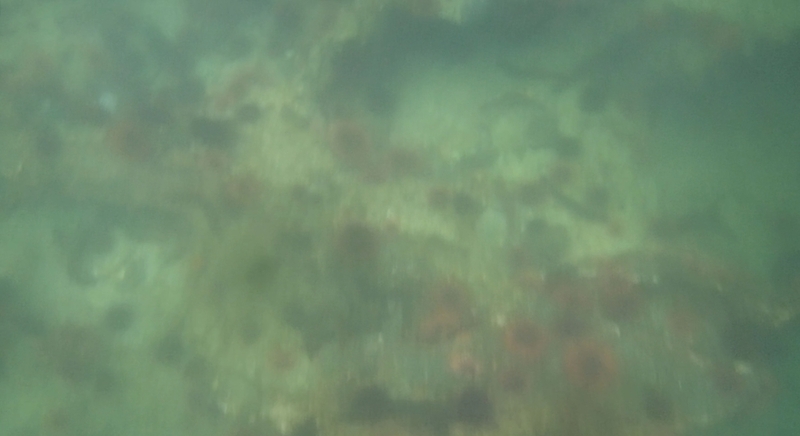 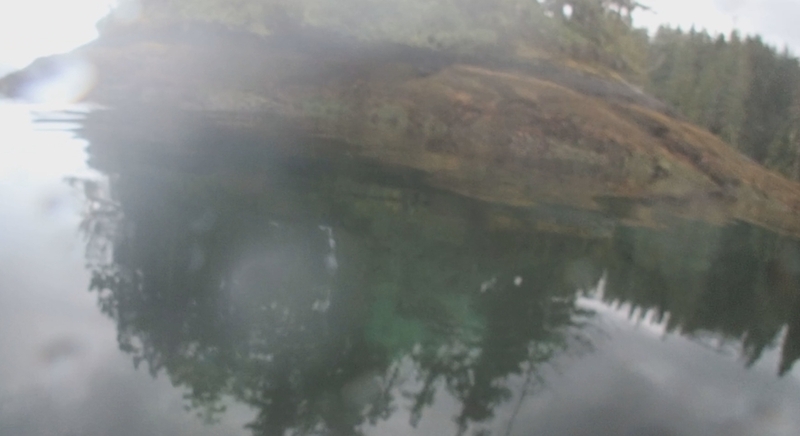 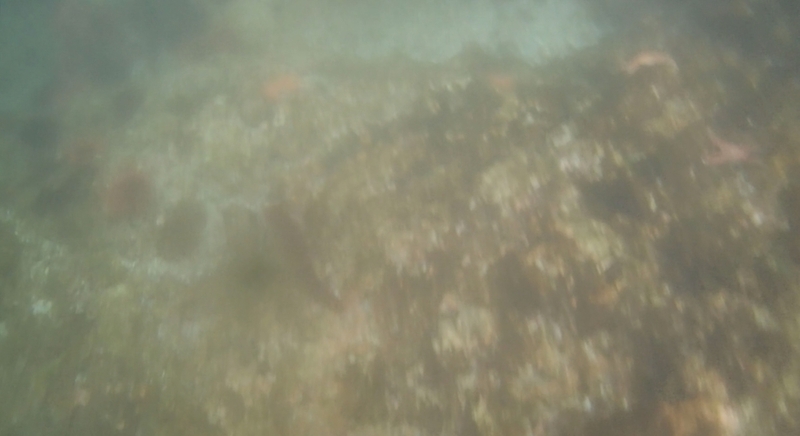 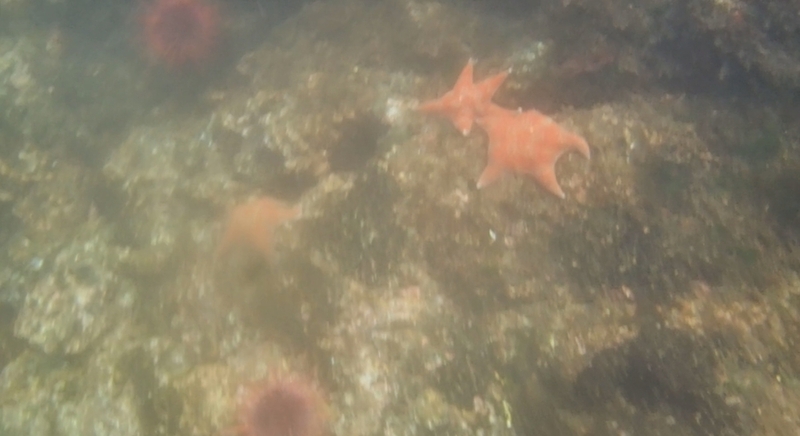 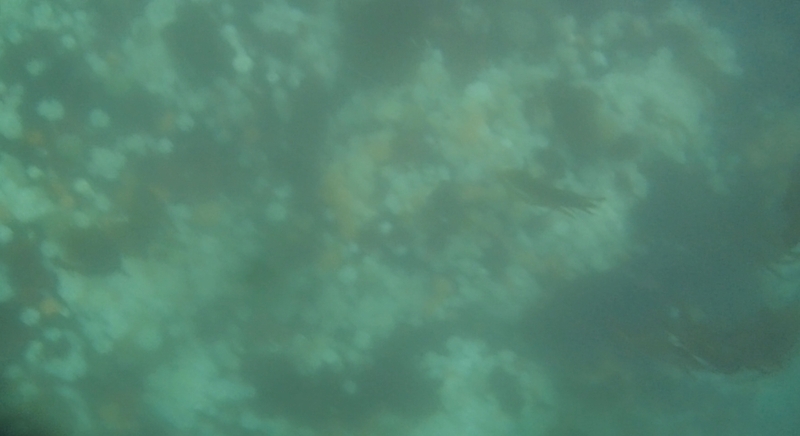 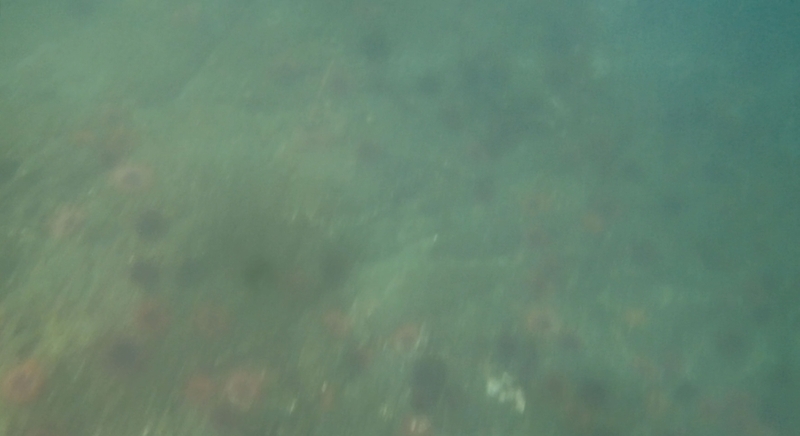 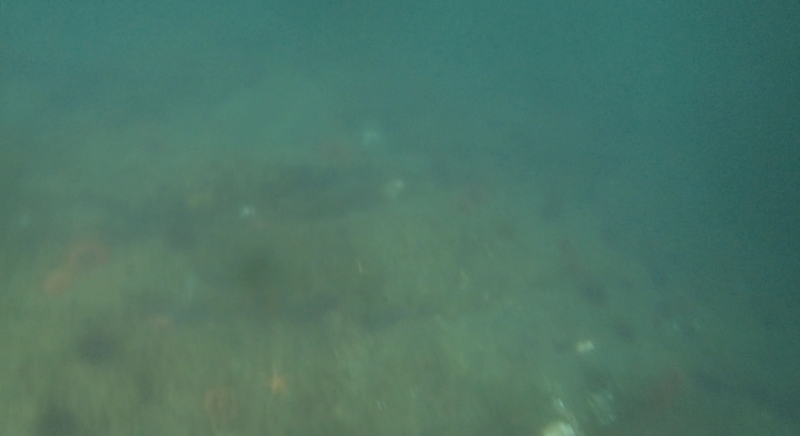 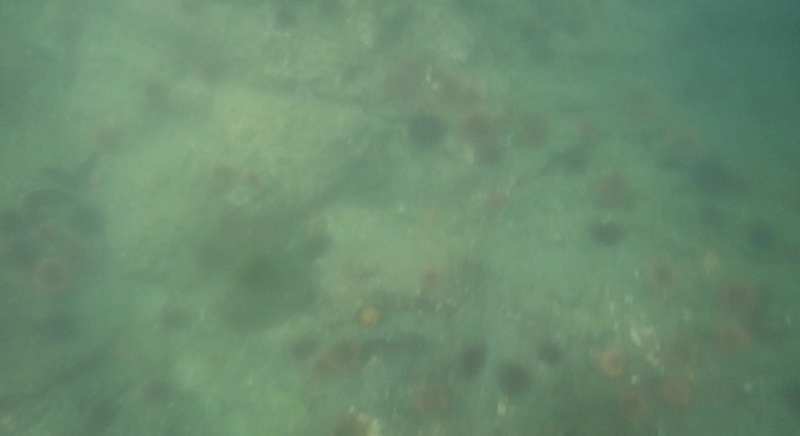 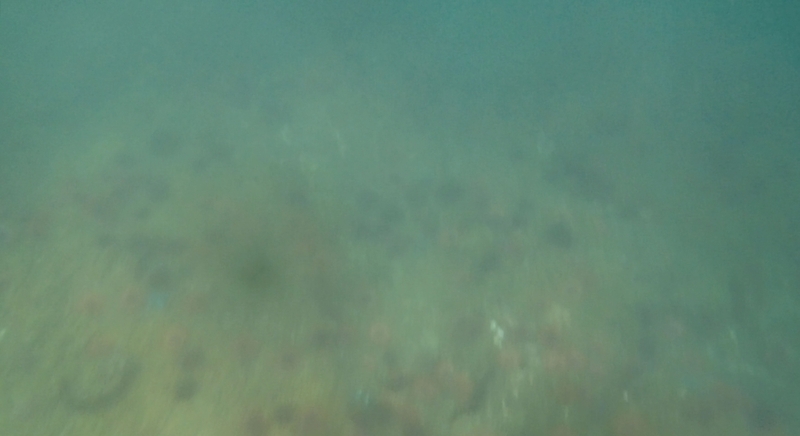 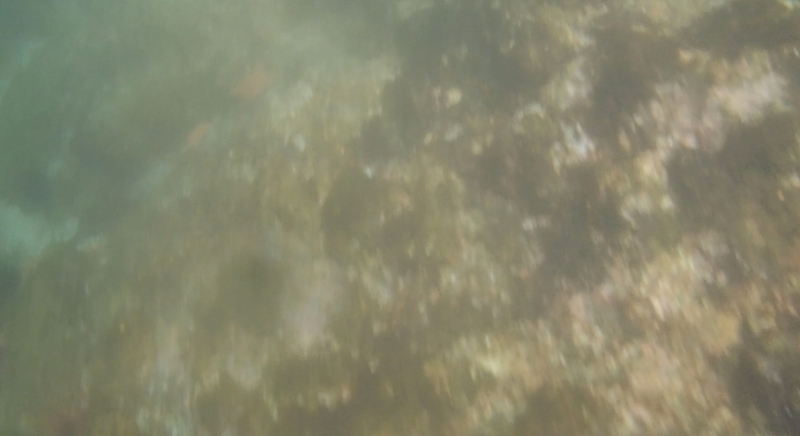 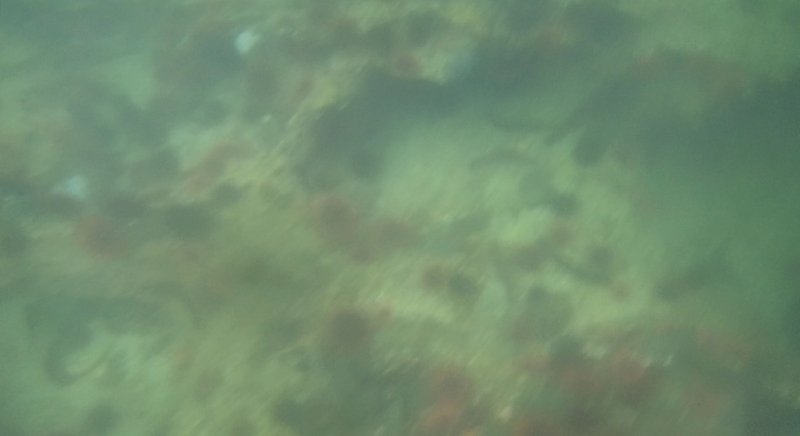 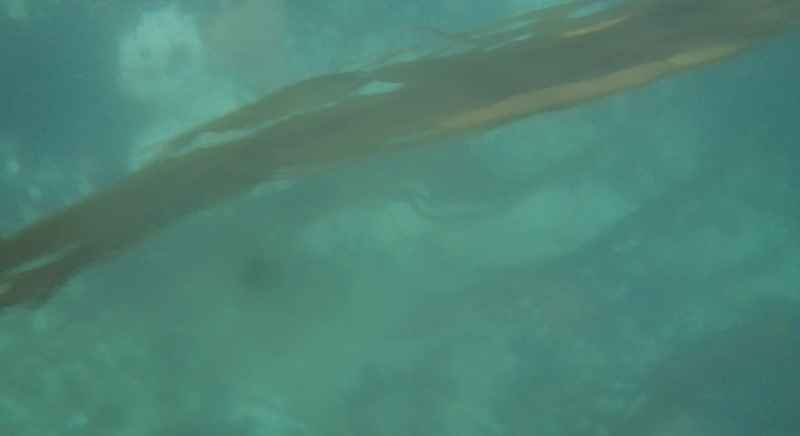 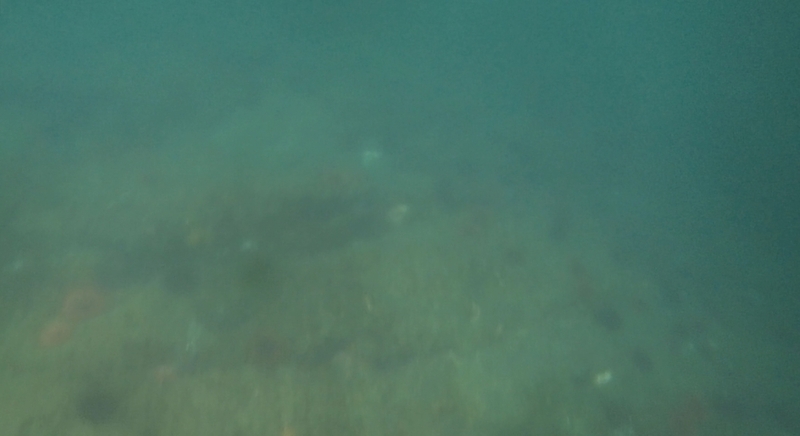 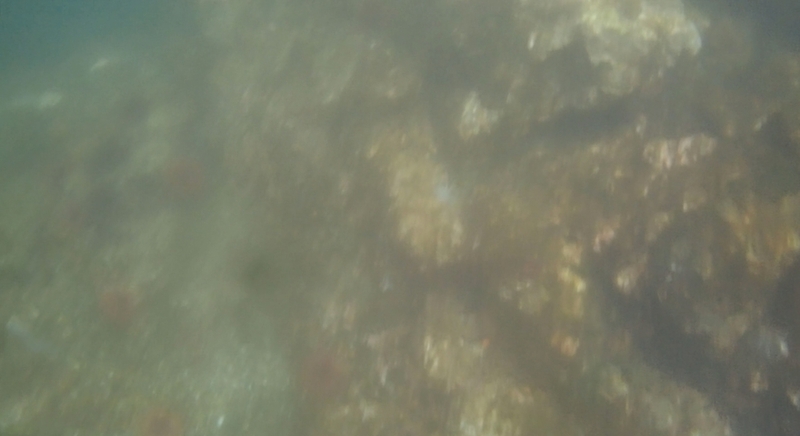 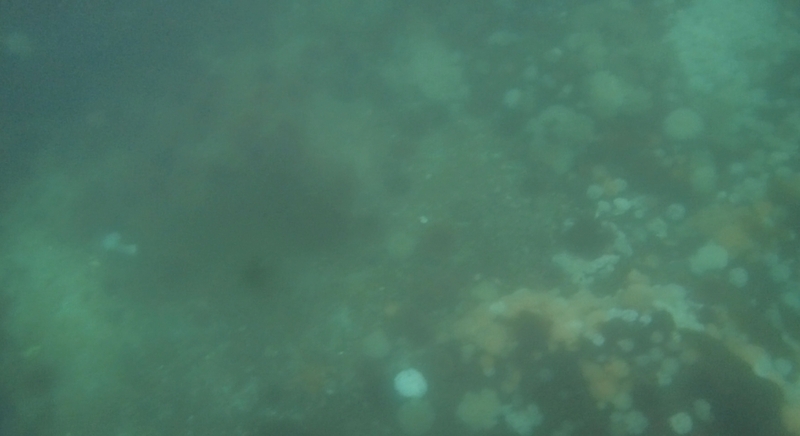 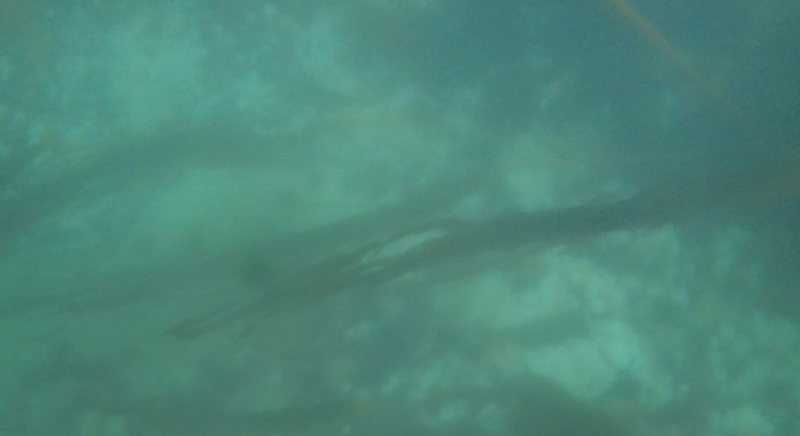 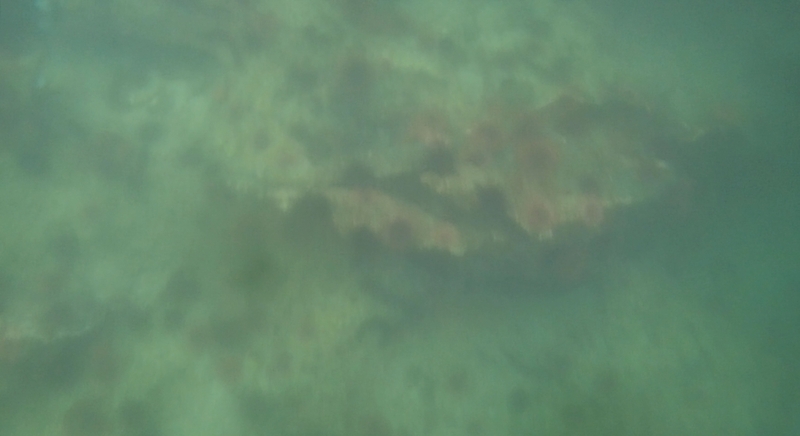 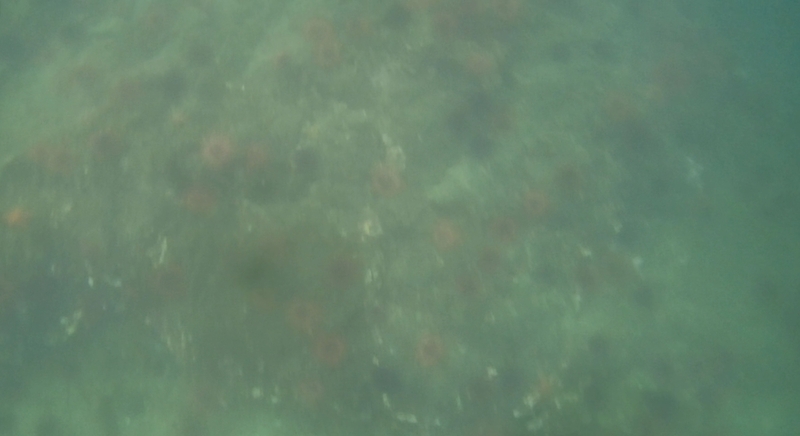 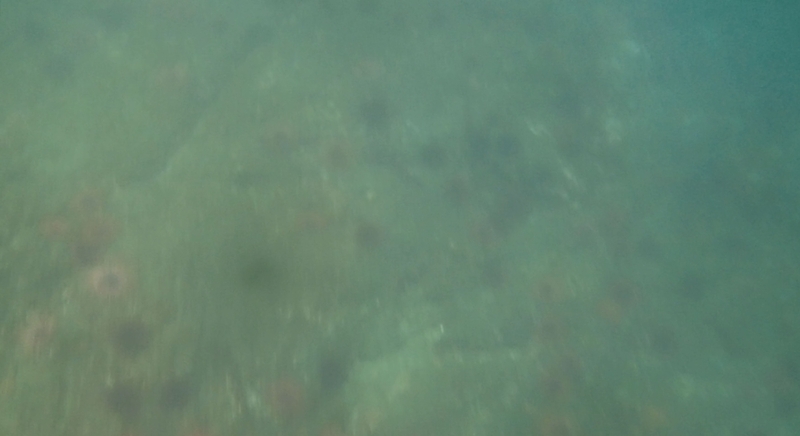 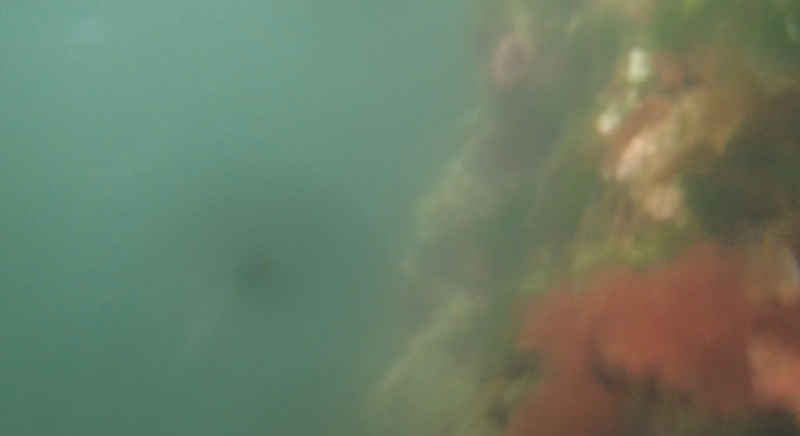 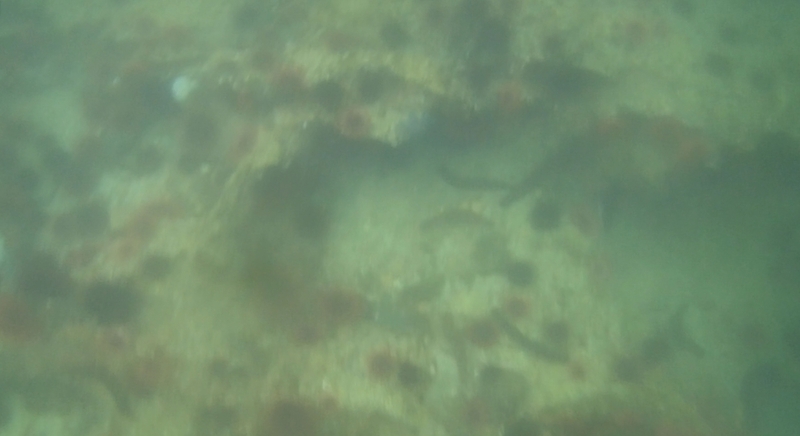 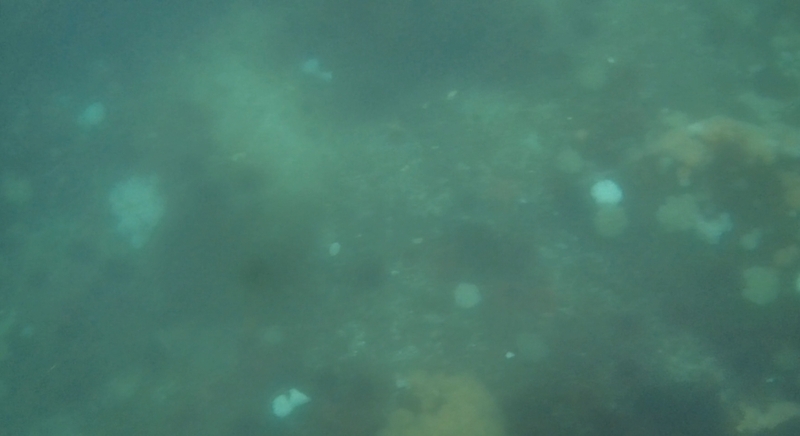 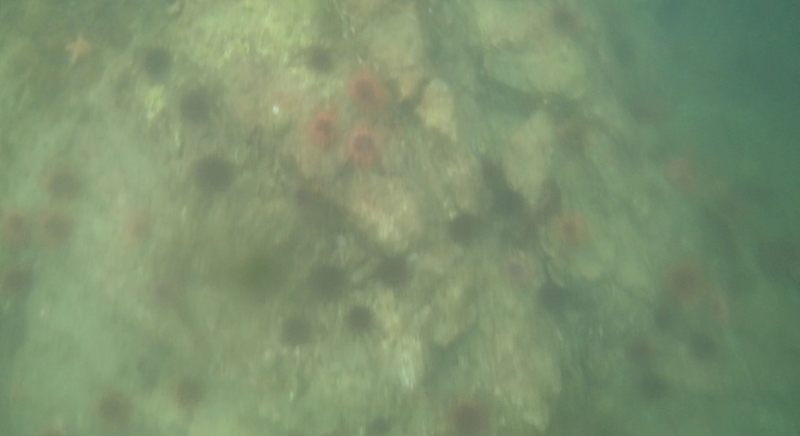 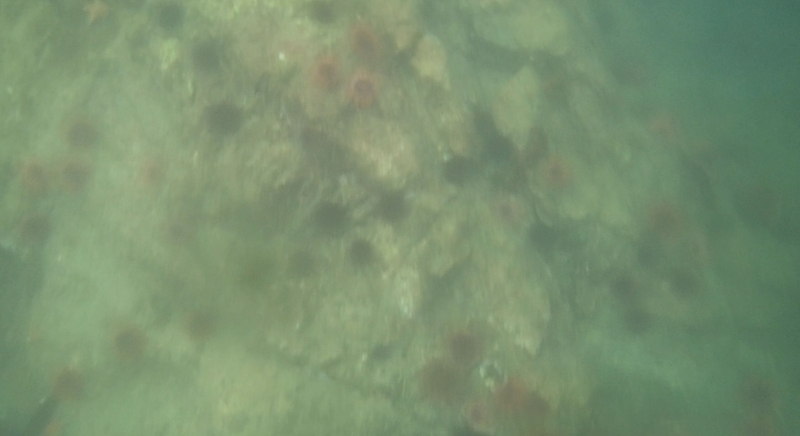 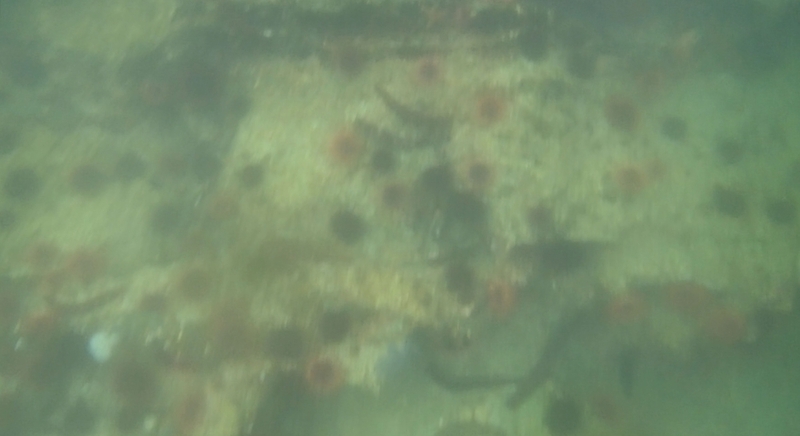 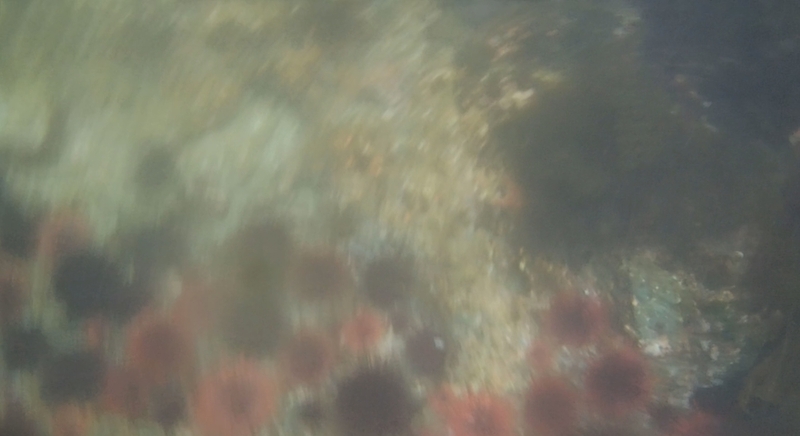 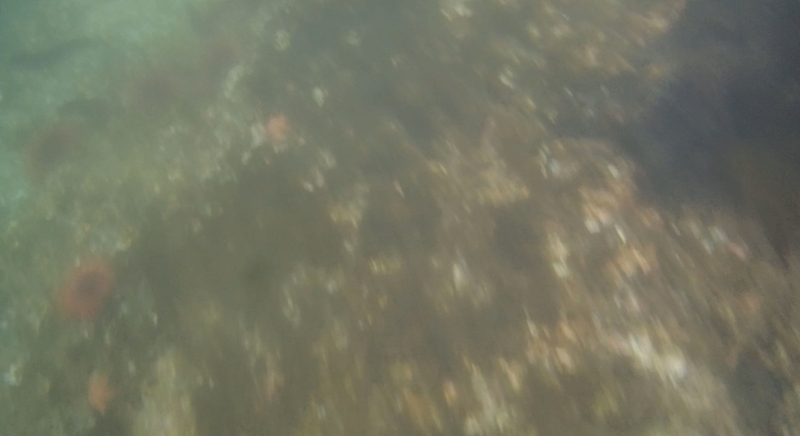 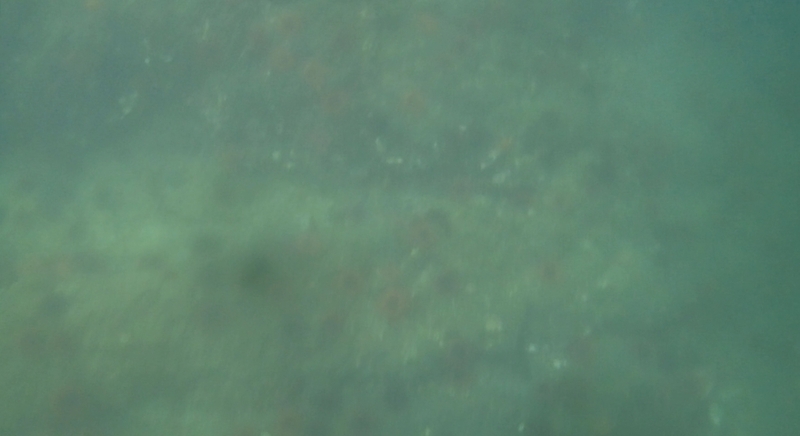 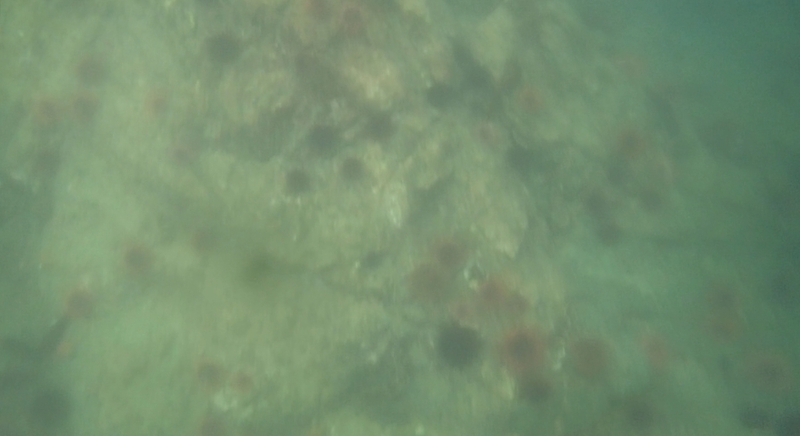 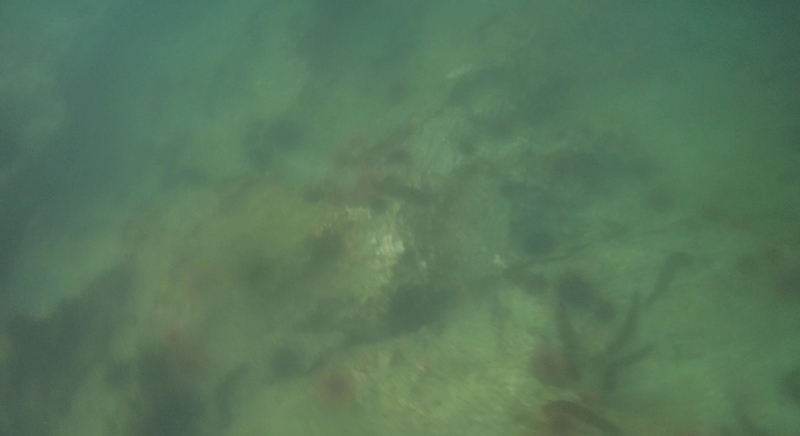 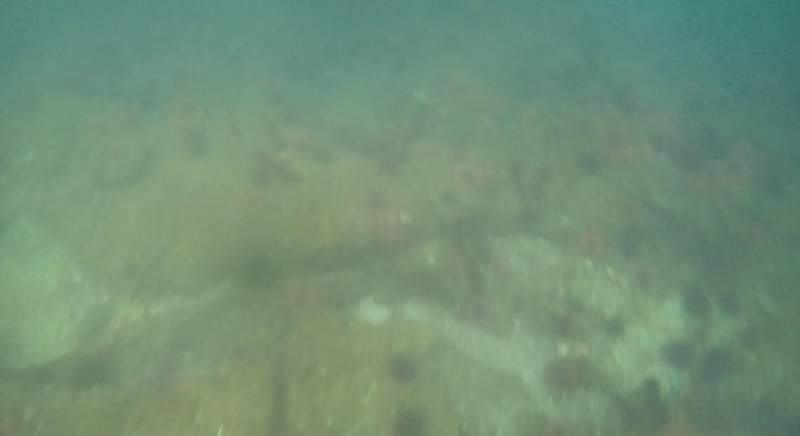 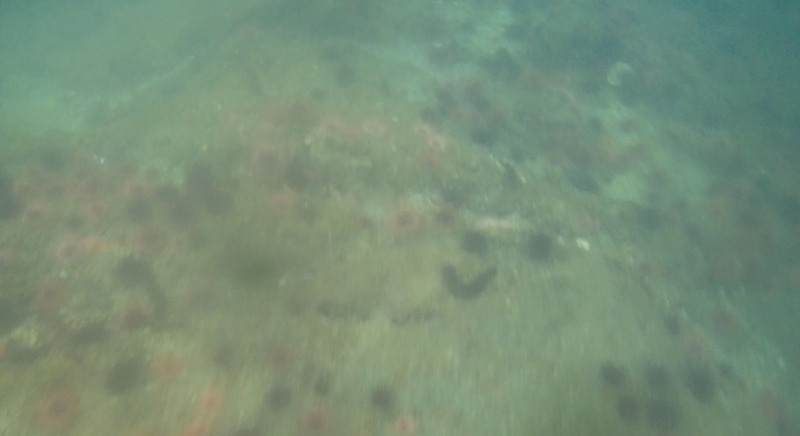 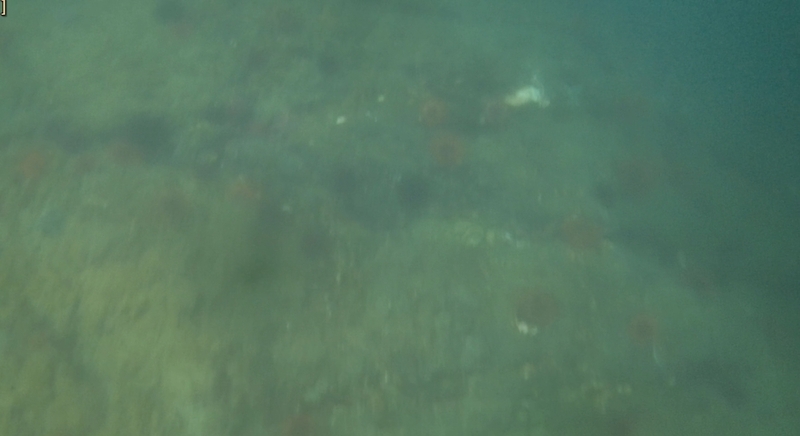 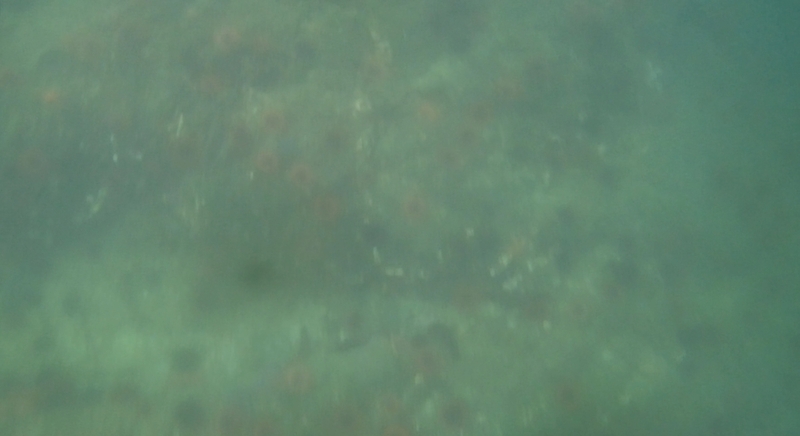 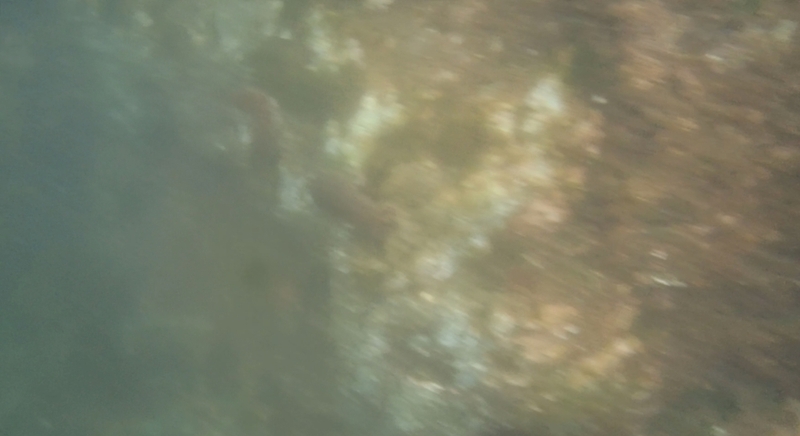 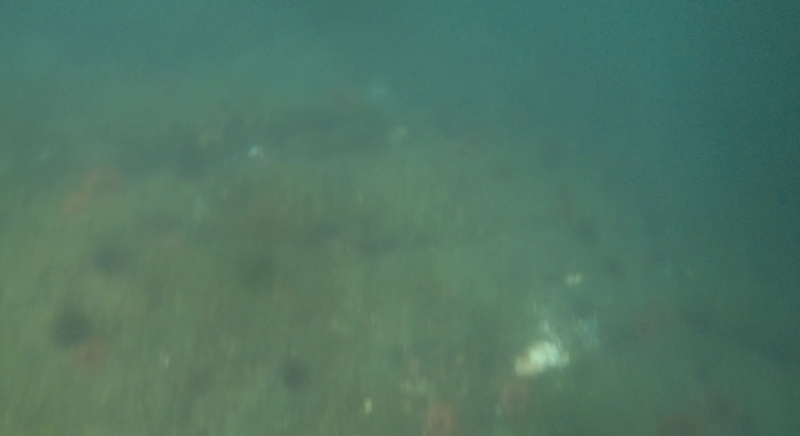 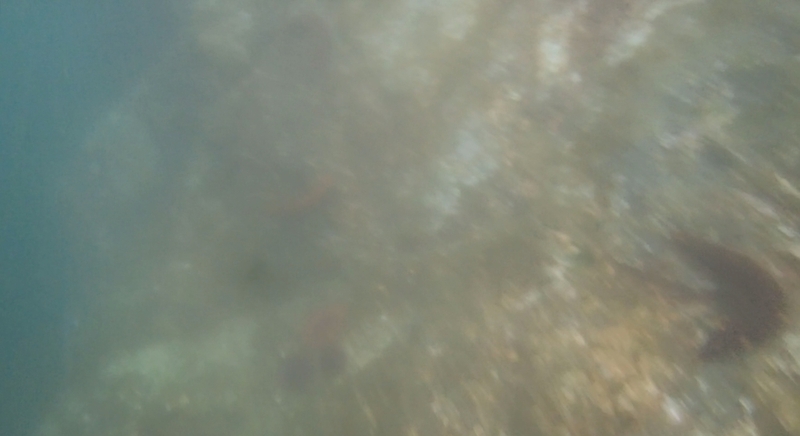 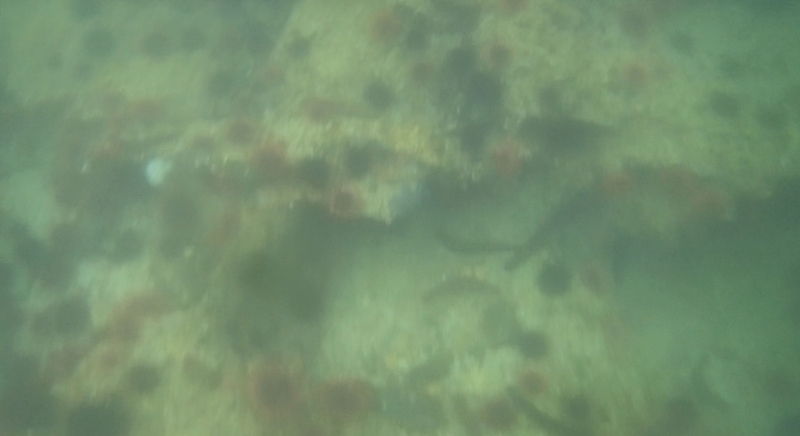 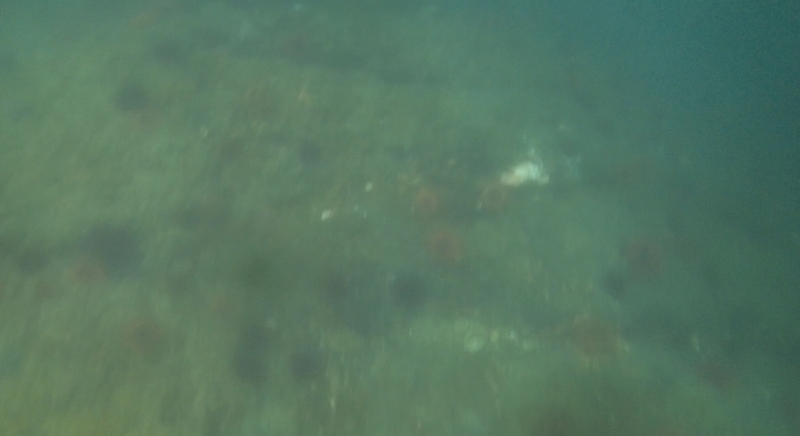 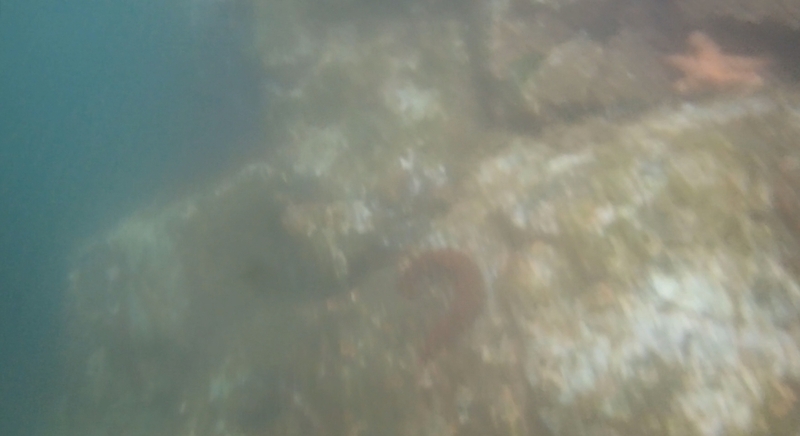 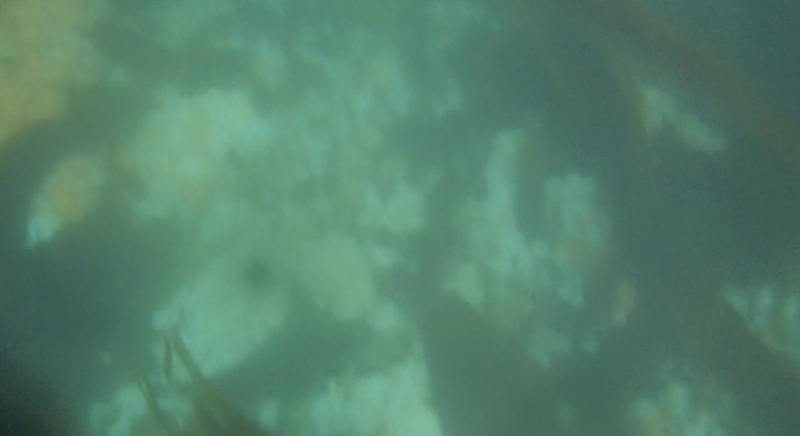 Underwater screen captures bad VISIBILITY cloudy and raining fresh water interference at surface . 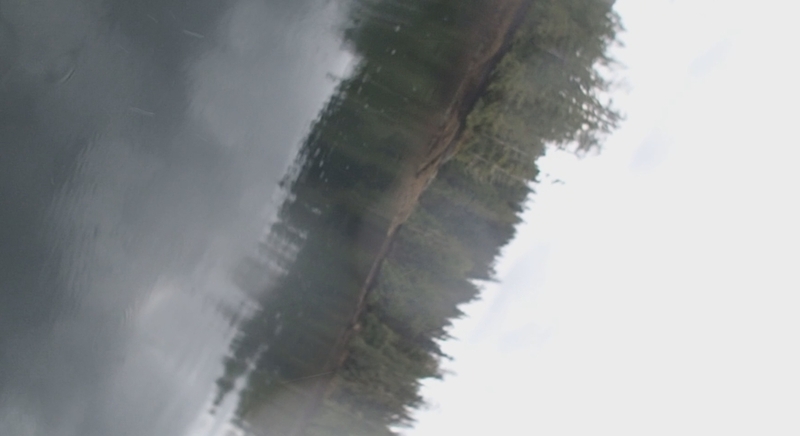 Yet the pictures still reveal useful data , software can be used EFFECTIVELY to clean pictures . 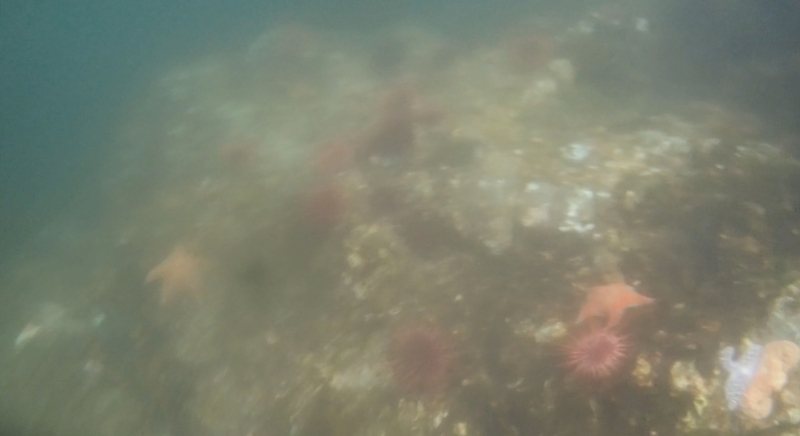 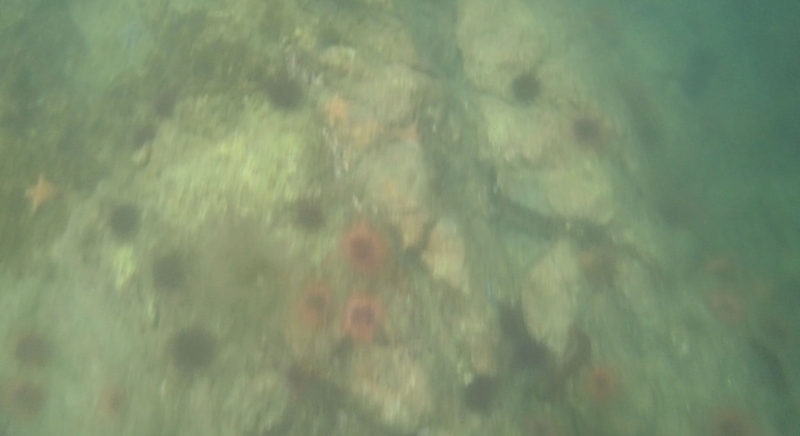 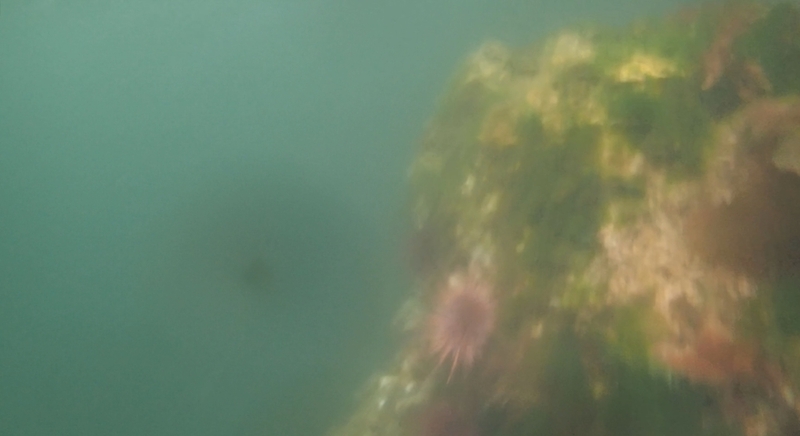 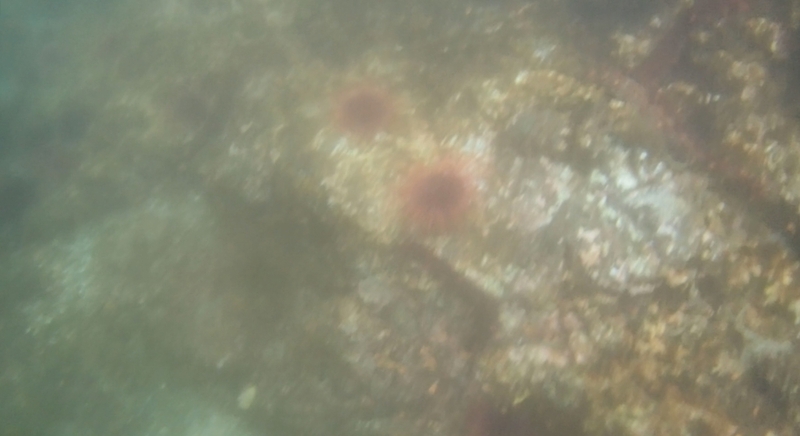 Most INTERESTINGLY is the set of pictures from the north east end where we ARTICULACY see the giant white plumed anemone that also comes in reddish gray brown COLOUR tints . 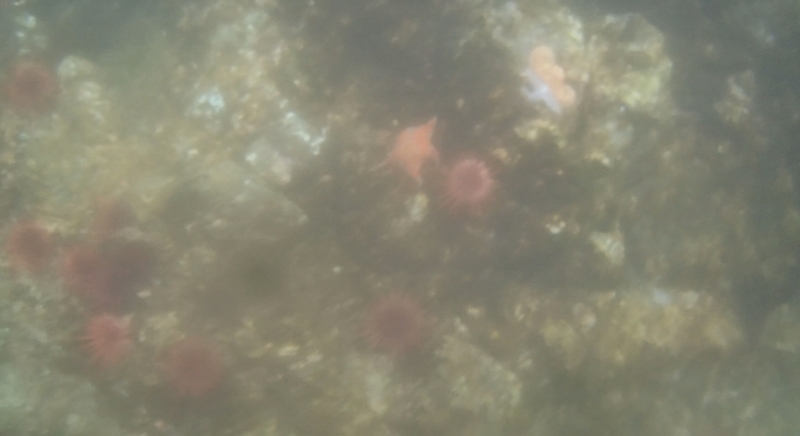 This is the first time we documented them in a natural group . 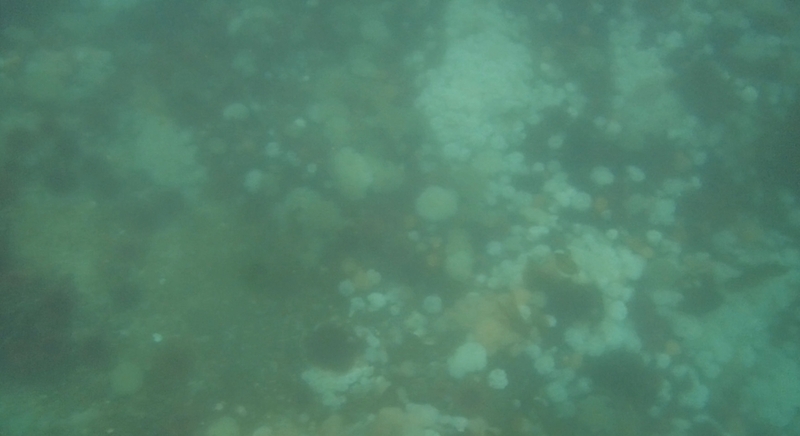 pre fukushima they have always COMMONLY existed CLOSELY packed up to 500 per sq meter regularly throughout the entire coast lines from high tide lines to 50 feet deep throughout the inlets and 26,000 island ARCHIPELAGOS of bc canada .